Complete the form on the right, to gain instant access to webinar recording presented by Pearson's consultant psychologist Tae Hee Jung. This webinar provides overview of the various types of cognitive ability tests and learn how they apply to different contexts of HR. 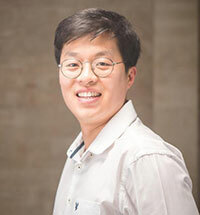 Tae Hee Jung is the Consultant Psychologist managing the Organisational Psychology portfolio and TalentLens suite of assessments for clients in Australia and New Zealand. 5 years experience in assessment and selection within government, university and private sector HR departments. Extensive knowledge of a wide range of psychometric tests. Experienced in the development and application of work samples, structured interviews and assessment centres.